These are the garden gloves handmade in England by a bespoke leather tannery that help protect the hands and forearms from thorns. Drawing upon generations of leather craftsmanship, the gloves are designed and crafted in Bridgnorth in Shropshire’s Severn Valley. 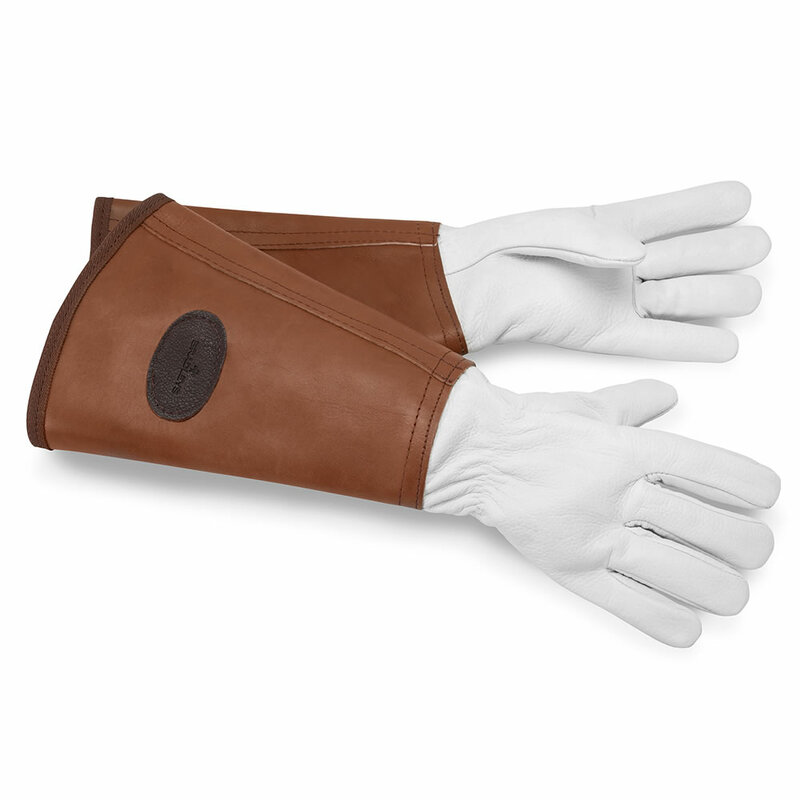 Only the highest-quality of chrome-tanned, vegetable-dyed grain leather is chosen from sheep raised in the United Kingdom for the supple gloves and hard-wearing saddle leather is used for the 7 3/4"-long cuffs. 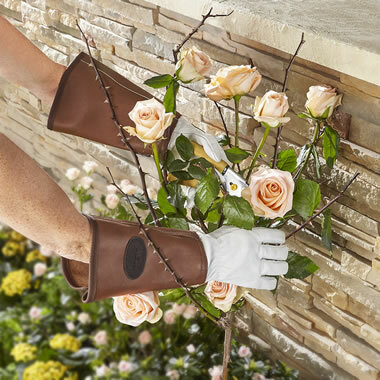 A fixture of the proper English rose gardener’s attire, the gloves ensure one remains protected—and confident—while pruning unsightly brambles. Large or Small. The Anti-Thorn And Bramble Garden Gloves come with The Hammacher Schlemmer Lifetime Guarantee. Items that we sell are guaranteed for their normal life under standard non-commercial use.